"To champion and leave a legacy of orchestral music in our communities"
There is nothing like the feeling of orchestra music: It invigorates and refreshes, Envelops and Transforms, Engages and Uplifts. It helps you see the world in a whole new way, exciting the senses with passionate performances, romantic stories, and glorious adventures. 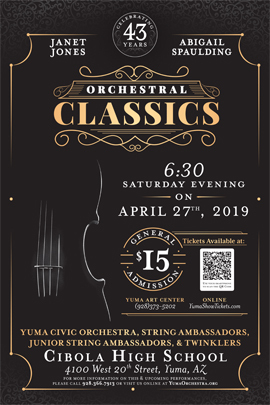 In the 1950s, Yuma showed an interest in educational strings with various school programs. The opportunities expanded in 1980 at Arizona Western College to allow anyone in the region to participate. Over the years one program after another developed, through AWC. 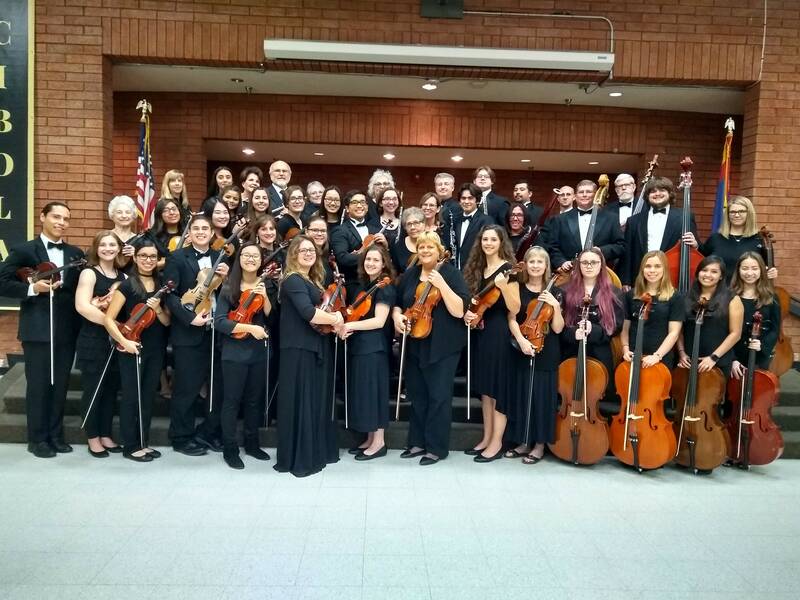 In 1992, Yuma School District #1, AWC, and YOA organized the Yuma Consortium for String Education. The four organizations pooled resources so that string classes could be strengthened in the public school systems. Today many young musicians have the opportunity to participate in their own school orchestras. However, not all schools have a string program. 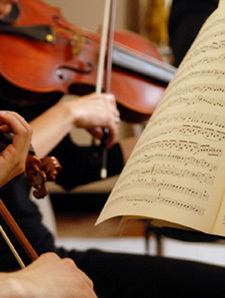 The consortium supports enrichment classes that enable anyone, including adults, to participate in a string orchestra. To request a performance, make a donation, or schedule an audition.